Hundreds of Event, Thousands of Smiles - Great Events Start Here! Karaoke Party Like No Other! Karaoke Party DJ Calling all divas, shower belters, car performers, and superstars – even if it is in your own mind! Crank up the system and show off your pipes to your favorite songs – fun is mandatory – earplugs are optional! The Sound Garden Karaoke Party will leave your guests wanting more with music, laughs, sing-a-longs and plenty of silliness and magic! Song choices and requests can be made directly from your phone, then text your request to the MC! No more big bulky books. Sound Garden has one of the most extensive libraries in Southern California, in a searchable online database. 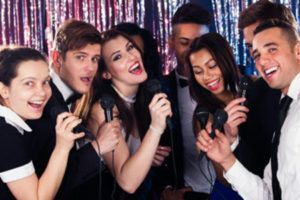 This is not a snooze-you-to-sleep karaoke night, it is singing party that entertains and includes all your guests – making it an event to be remembered! Text request to the DJ! 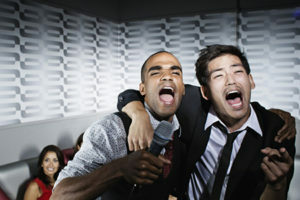 No boring karaoke night - Pure entertainment! The Cool Cat show is about entertaining your guests, not letting karaoke junkies take over the night. Crowd participation, sing alongs, magic and more! Interactive night that includes everyone! – Country, rock, pop to alternative oldies & More! – Ask us about Karaoke Roulette! – Audio & Video Recording Available! So much fun! I haven’t laughed so much in years! Contact us today. 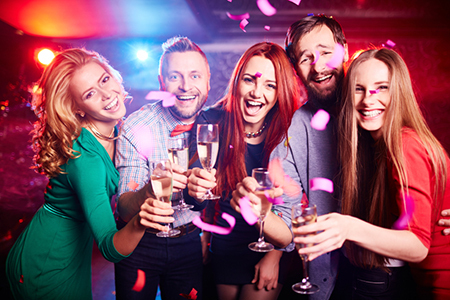 Let’s see how we can make your event a part and your party an event to be remembered! At Sound Garden Productions we are not “DJing a party”, we’re producing an event with one goal in mind – make your party an event and your event party guests will talk about, for a long time. We provide DJs, EMcees, Music, Lighting, Karaoke and Interactive Entertainment Wedding Receptions and Ceremonies, Company Parties, Seasonal Corporate Meetings and Events, Community Functions, Anniversaries, Reunions, Talent Shows, Grad Nights, Quinceañeras and more. We are master planners and seasoned music programmers, who understand how to get the crowd going.